Sherwin Williams products provide the best appearance, durability, and performance to each of these customers. 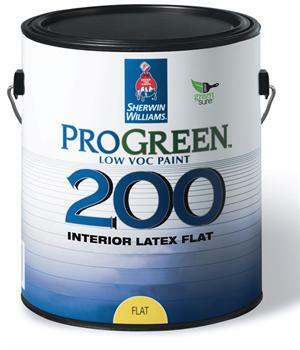 Together, Sherwin Williams and The Mazzei Group are providing their customers with top service and superior products such as our low V.O.C paint called, ProGreen 200. With this product, The Mazzei Group is able to provide a large array of colors with this product to their customer’s as well as giving them a green alternative. ProGreen 200 allows you to get the results you want without compromising your budget or the environment. ProGreen 200 enables you to deliver an attractive, uniform finish while meeting environmental regulations and demanding budgets. Its low-VOC, low-odor formula makes it ideal for painting occupied areas while its durability and competitive pricing are perfect for new commercial construction applications. 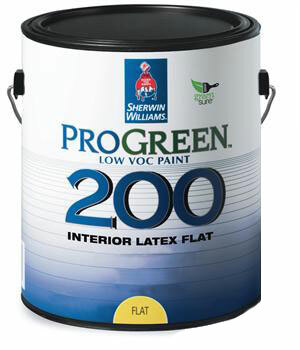 And, with availability in Primer, Flat, Low Sheen, Egg-Shel, and Semi-Gloss sheens, ProGreen 200 will satisfy your project requirements. This low-VOC, low-odor paint meets the needs of contractors, commercial builders, property owners, and architects alike. Since it can be applied in occupied areas, scheduling hassles for you and your clients are virtually eliminated increasing productivity and profitability for everyone.